The Kokui Tower (Kukui, Kalancha, Kalanchovskaya) is a quadrangular deaf (impassable) tower in the south-western part of Novgorod Detintsa, built on the principle of "two octagon over the quadrangle." The tower is hung with a silvered dome with the ensign of the Novgorod principality, a crown and a flower above it. Strongly damaged during the war, the tower was restored to 1960s in the guise of the XVII century. 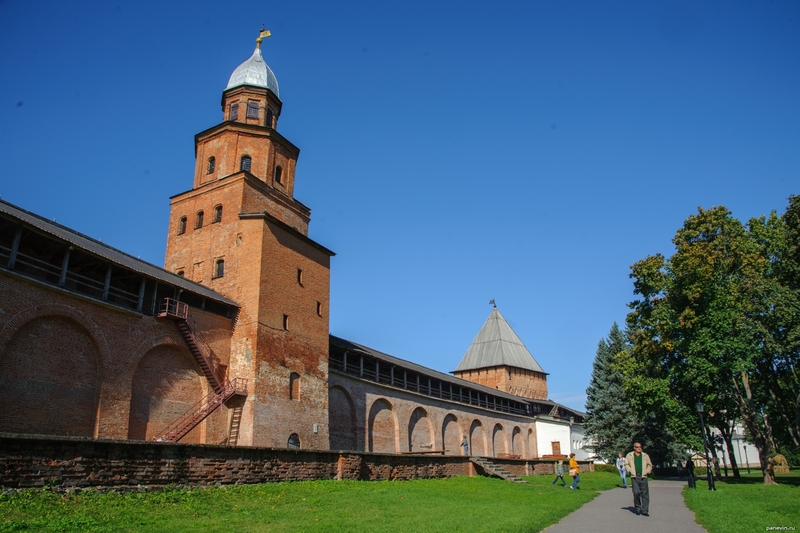 Blog, posts attractions, fortification, fortresses, Veliky Novgorod.